I could not be more excited to share this chic, #forallthingslovely print with you today! bonnie and I worked really hard to make this absolutely perfect and it's available TODAY in her b is for bonnie print shop! when thinking about what I would want a print to say that would be representing my brand, I knew I wanted gold (of course), girly and all of my favorites that make up the lovely things in life. 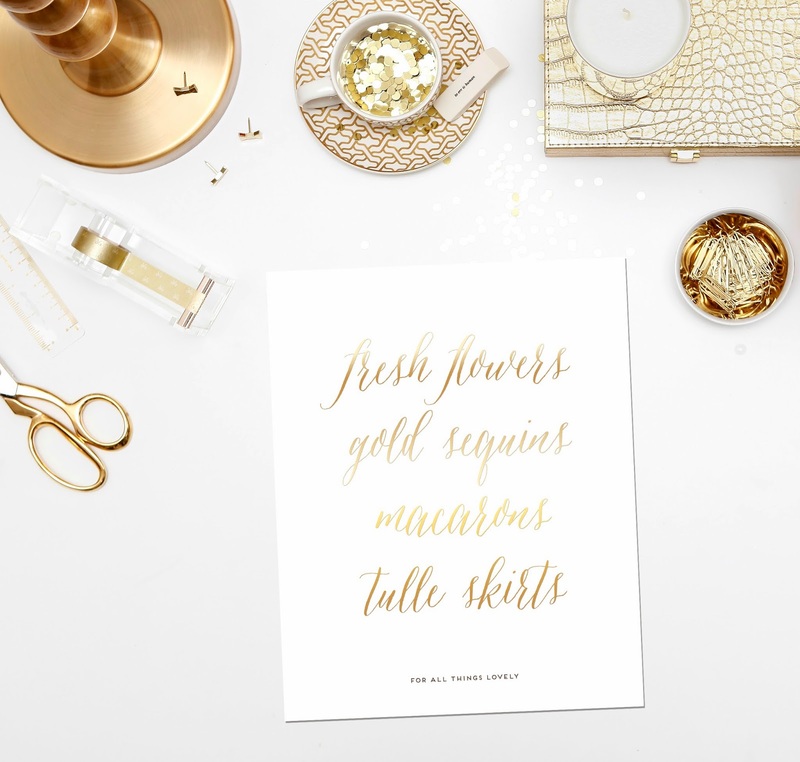 what could possibly be better than fresh flowers, gold sequins, macarons and tulle skirts?! this will be a limited edition print that will only be available in the shop for a short time so head on over and get yours now! thank you so much for your support, lovelies! p.s. - if you order this print today, repost the photo above on instagram and hashtag #forallthingslovelyxbisforbonnie and #thelovelythingsinlife and you could win a special prize for ordering on launch day! xo. This is the perfect girly print! Congrats on your collab with Bonnie, how exciting for you!